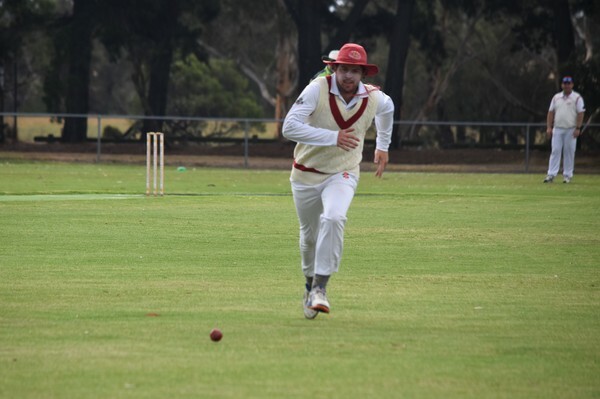 Grubber A2 captain Isaac Saunders concedes his side’s slim hopes of making finals are over after Wallington scored a first innings victory over Ocean Grove on Saturday. Ocean Grove’s loss at Wallington saw them (27 points) leap-frog the Grubbers (24 points) and jump into sixth spot. 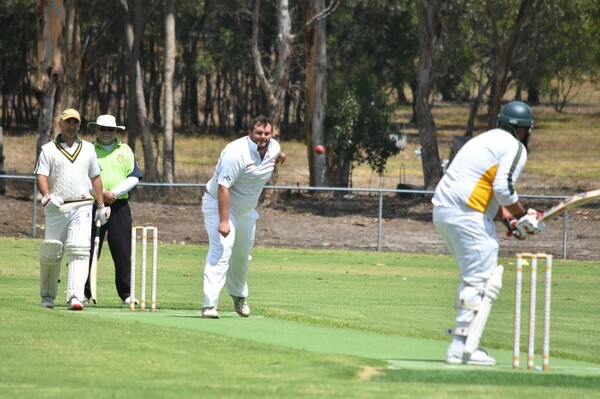 Both teams have jostled for a top-four spot in recent weeks, Wallington’s first XI defeated Ocean Grove by one wicket in a nail-biter one-day game at Ray Menzies Memorial Oval on 26 January. 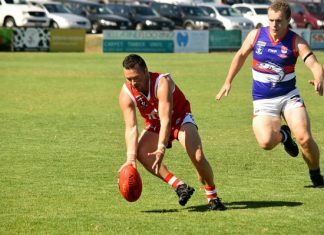 Saunders said a finals berth also hinged on fourth-placed Inverleigh losing to A2 ladder leaders Queenscliff, though the Coutas went down to Inverleigh on Saturday. Inverleigh’s win (36 points) maintained fourth spot with two rounds remaining before finals. “Everything was relying on the fact Inverleigh losing to Queenscliff – most of the teams out of the four needed that result,” Saunders said. 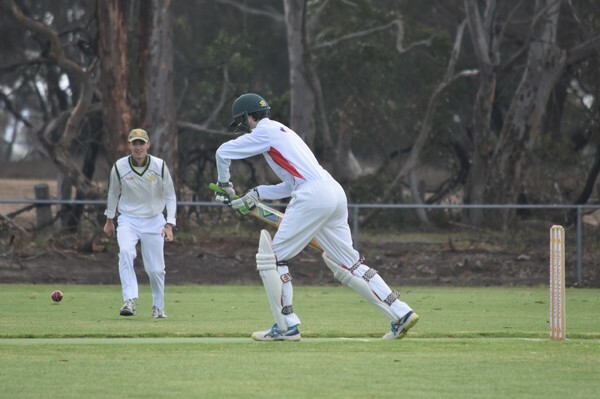 Meantime two-day clash between Wallington and Ocean Grove was delicately poised with 15 wickets on 2 February. Wallington bowled out Ocean Grove for only 83, in reply the Wallabies were 5/56 in reply at stumps. On day two, Wallington trio Dane Wise-Graham (43 not out), Matthew Jeffreys (36) and Marc Occhipinti (41) led an aggressive charge with bat to claim first innings points. “Matty Jeffreys hit 20 runs in the first over (on day two) and sort of changed the course of our game,” Saunders said. Grubber Dan Roddis on the comeback trail from knee surgery took 2/26 from seven overs. Jeffreys also dominated with the ball on day one and finished with 5/34 from 22 overs. Wallington declared at 7/156 and led Ocean Grove by 73 runs on first innings. In its second dig, Ocean Grove were 3/143 from 49 overs. GRUBBER C1 opening batsman Pat Kuipers hit a century in his side’s six-wicket win over Wallington at Ocean Grove Memorial Recreation Reserve. Kuipers struck an unbeaten 119 not out and blasted four sixes and smashed nine boundaries. The Grubbers made 4/198 from 51 overs after Wallington batted first and were all out for 189 on day one. It was an excellent game for the Kuipers, Pat’s son Josh took 3/27 from 10 overs with the ball. Wallington opener Brent Hayward hit 97 on day one. 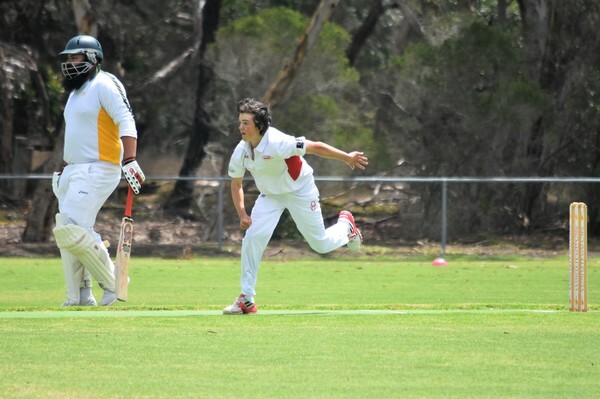 Ocean Grove C1 (36 points) sits in fourth spot with six wins and six losses after 12 rounds. 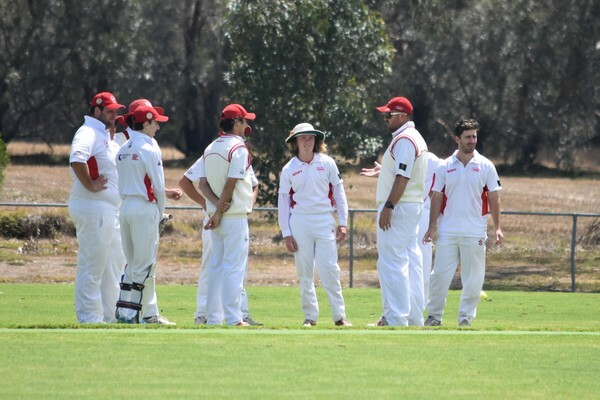 LITTLE River defeated Ocean Grove by 38 runs in the D Grade one-day game at Charles McCarthy Memorial Oval on Saturday. Batting first the Redbacks compiled 6/234 from 40 overs, in reply the Grubbers were all out for 196. Little River opening batsman Michael Ebborn led the charge with his retired 105 not out.